Food is important; and Hungarian food has a good reputation for being delicious. During the week, lunch is served at the school cafeteria from 11:30 to 2:30. The other meals of the day are your responsibility. A meal at Alma Mater Étterem (the big cafeteria on campus) can be anywhere between 600 HUF (student menu, or DIÁKMENÜ - you will need your student card to get it) and 1000 HUF. If you choose to cook, that will be cheaper - food prices are about the European average in Hungary. The dormitories have kitchens equipped with a cook top and a fridge, so cooking is usually no problem once you have all your cookware and tableware. Also, there are three cafes in the main building, three more in the main dormitory and one on the corner of the A hostel building. Two grocery stores are within a minute walking distance from the main building. Hungarian food prices for staples are about the European average, and you can find some reasonably priced pizzerias in town, most places also deliver. For your weekly grocery shopping you might want to go to TESCO, which is considered a cheap grocery store with wide selection in Gödöllő. (The cheapest stores are Penny Market, Aldi and Lidl with smaller selection - not far from Tesco) It is at the other end of town, but TESCO operates a free bus line between the railway station and the supermarket. For the timetable go to http://tesco.hu/bus.php and scroll down till you find Gödöllő. There is also a shopping centre called STOP SHOP (strip mall style) next to Tesco where you can buy clothes, shoes, cosmetics, electronic equipment among many other, e.g. a Chinese restaurant with large portions and reasonable prices. Solier Restaurant and Café – Gödöllő, Dózsa György út 13. PizzaMax Café – Gödöllő, Dózsa György út 36. Tűztorony Café – Gödöllő, Kossuth Lajos utca 13. Sziget Restaurant - Gödöllő, Szabadság út 139. Császárkert Restaurant – Gödöllő, Ady Endre sétány 1-3. Described by Louis XIV of France as “the king of wines, and the wine of kings”, Aszú is even referred to in the Hungarian national anthem. 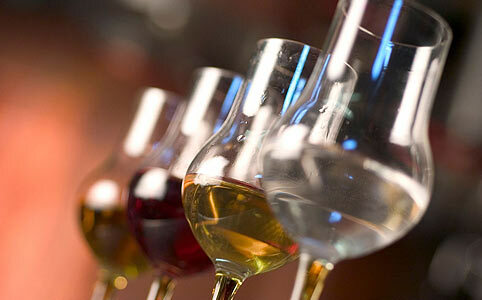 It is one of the world's finest dessert wines. 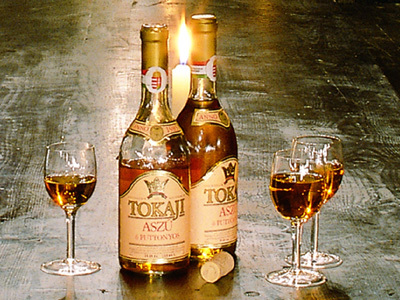 Aszú is made with grapes that have succumbed to the botrytis cinerea fungus, otherwise known as noble rot. If conditions are right, the botrytis mould causes sweet grapes to dry out and shrivel. The resulting Aszú berries have a very high concentration of sugar and rich flavours. 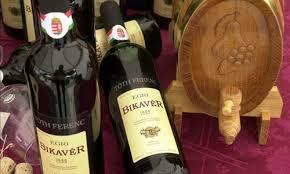 The Bikavér (Bull's Blood) blend, exclusive to the Eger and Szekszárd regions, is the best-known among all Hungarian wines. Legend has it that the name originates from the unsuccessful siege of Eger by the Turks in 1552, when the heavily outnumbered Hungarians had nothing to drink but red wine. This proved to be to their advantage, their red-stained beards and wild eyes terrified the Turks, who thought they had been drinking Bull's Blood. Pálinka is the generic name for the fiery fruit brandy often distilled by farmers from home-grown plums, apricots and pears. Hungary's most famous pálinka distilleries can be found in Kecskemét. 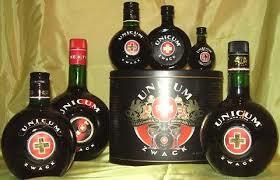 According to legend, Unicum was initially presented to Kaiser Joseph II of Austria, who proclaimed "Das ist ein Unikum!" ("This is a specialty!"). Today the liqueur is produced by Zwack according to a secret formula including more than 40 herbs and is aged in oak casks. The PICK factory in Szeged has been producing this famous and popular salami brand for about 140 years, using a secret recipe. Made from pork and spices, winter salami is cured in cold air and smoked slowly. During the dry ripening process a special noble-mold is formed on the surface. Makó is a town in southeastern Hungary famous for its onion, an important ingredient of traditional Hungarian cuisine. A world famous brand name as a result of the innovations of Vilmos Zsolnay, who developed the eosin glaze. 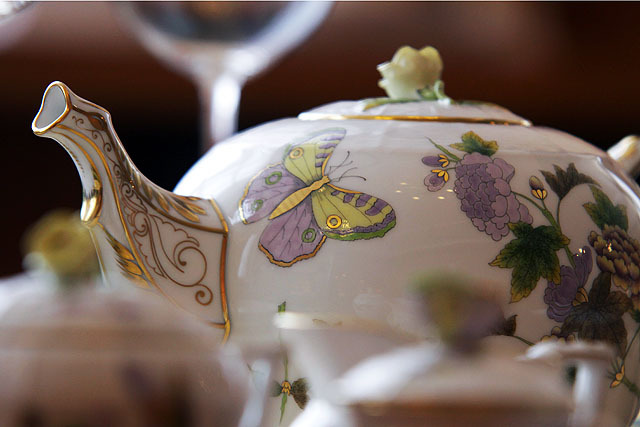 Since 1826, Herend has produced some of the world's most distinctive and outstanding porcelains. The manufactory's name is derived from its home in a small town not far from Budapest. 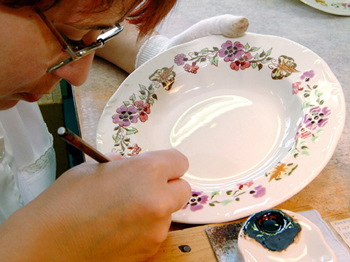 Each and every piece of the hand-painted dinnerware, figurines, and home accessories is an individual piece of art and craftsmanship created by highly trained master craftspeople. 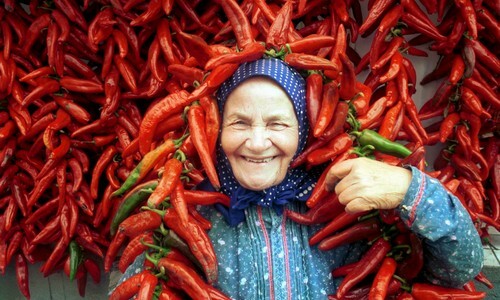 Paprika is one of the most widely used ingredients of Hungarian cuisine. Due to the favourable climate and geographical conditions Hungarian paprika has a bright red colour and a distinctive rich flavour. Kalocsa and Szeged in the southern part of Hungary are the heart of paprika production. 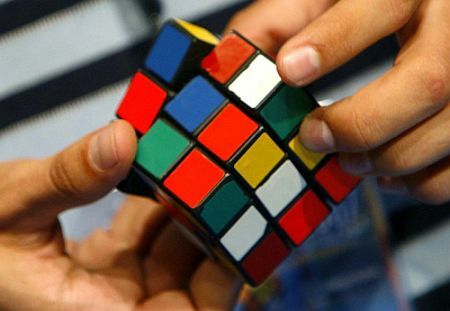 The world famous Rubik's Cube is a mechanical puzzle invented in 1974 by Rubik Ernő.